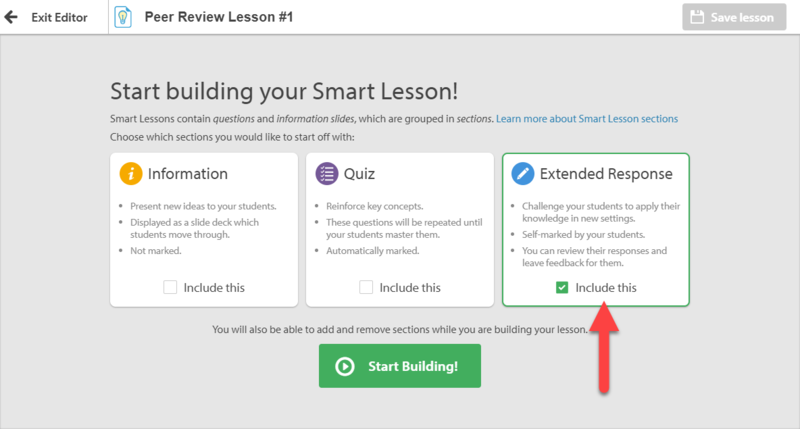 You can add Peer Review to both new and existing lessons. 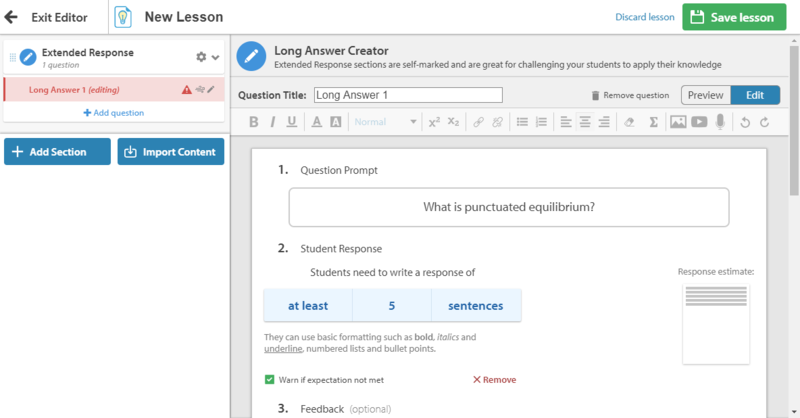 Peer Review will enable your students to see how their peers approached a given question and offer their feedback in a teacher moderated environment. Navigate to the Content Library section of your Control Panel. Ensure that you're switched over to Edit mode. Double-click a lesson that has an Extended Response question in it. Select Customize at the top of the page. 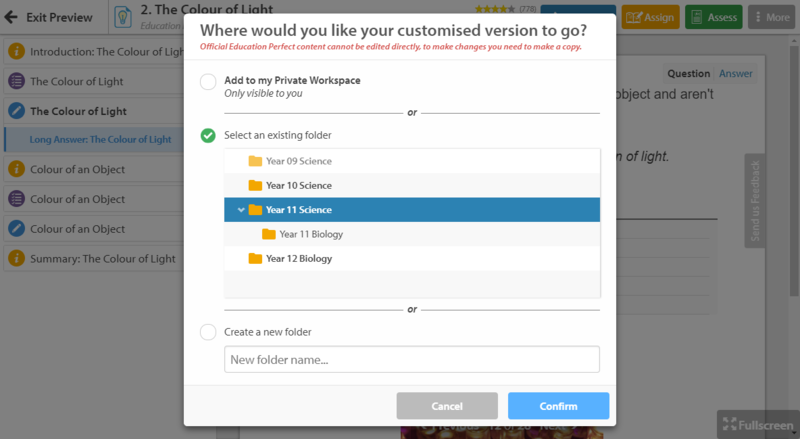 Customizing a task that is in the My School's Content or Education Perfect Content section requires you to create a copy of it. Choose whether you want that copy to be in an existing folder, your Private Workspace, or a new folder. Open the appropriate lesson, select an Extended Response, scroll down to Optional Settings and click on Peer Review to enable it. Students rate answers based on a star scale. You're able to change the text associated with each star level to help your students to decide what rating to give a response. Add information on exactly what feedback you'd like your students to give in the Comment Instruction section. 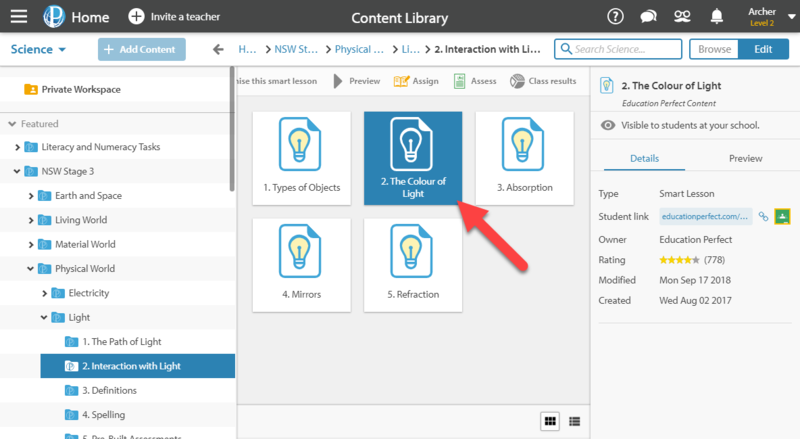 Open the Create an activity drop-down menu and select Smart Lesson. You're able to add Quiz and Information sections if you'd like, but to enable peer review, you must include Extended Response sections. Set up your question and response requirements. 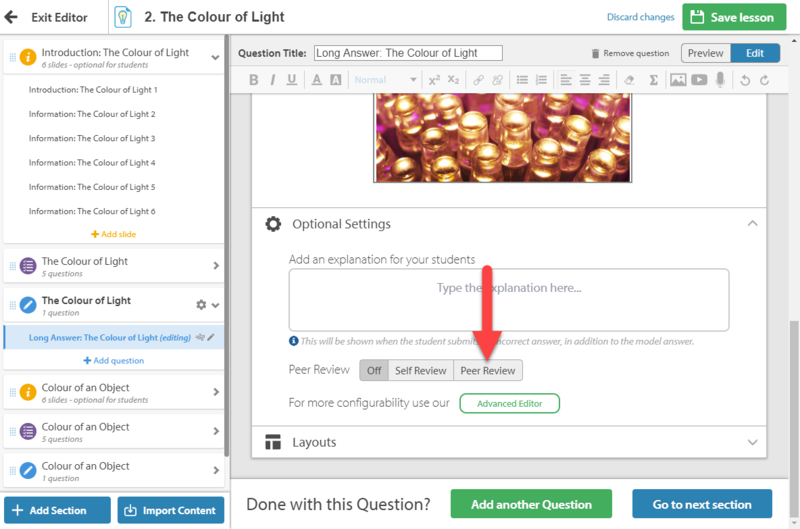 You can include marking criteria and/or exemplars under the Feedback section. For full details on how to set up Extended Response questions, check out this help guide. Once you're happy with the question, open Optional Settings and enable Peer Review. Once you're finished setting up your lesson, you may want to assign it to your students as a Task.